You’ll be amazed how much we can fix without even being in the same room. Using our Remote Mac Support software we can offer help wherever you are, often within minutes. 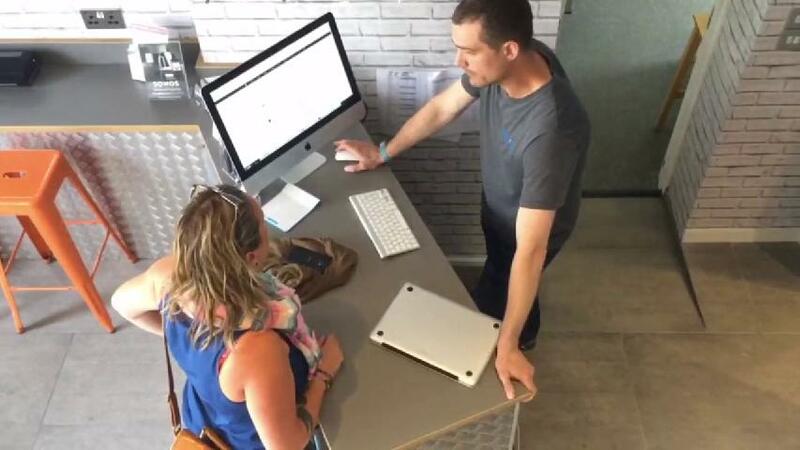 We’ll take over your Mac to sort your problem quickly and conveniently. We charge £37.50 for 30 minutes (our minimum charge) of Remote Support. Our hourly Remote Support rate is £75.00 per hour. We’ll take your debit or credit card details in advance, and then charge you at the end of the call. Occasionally we’ll discover that a home visit is required. If that’s the case and we book an appointment, we’ll deduct 50% of the Remote Support cost from the total for your home visit. Want to know more or not sure if we can help remotely? Get in touch using the form below, or by phone or email. We’ll confirm that Remote Support is suitable, and set up a time. All you’ll need to do in advance is download the software to your Mac using the link below. Follow the three steps below and we’ll get you back up and running very soon. Click the orange button to download our remote software. Find and double click the software. It’s called remotemac.dmg and will often be in your downloads folder. If you can’t find it use spotlight and search for remotemac.dmg. This will automatically put you in our support queue. Purchase your remote session above. We will call you as soon as your purchase is complete to carry out the remote session. Please note if you buy multiple hours of support these can be used for multiple sessions. We will deduct a minimum of 30 mins per session however. Prefer An On-Site Visit Instead? We’ll happily come to you. Please use the link below to arrange a visit with one of our terrific Apple Certified engineers.